The compressed air "switch" of the pulsed bag dust remover system with submerged electromagnetic pulse valve is controlled by the output signal of the pulsed jet control instrument. The dust remover is sprayed on the filter bag row by row (chamber) to keep the pressure of the bag dust remover within the set range to ensure the processing capacity and dust removal efficiency of the dust remover. 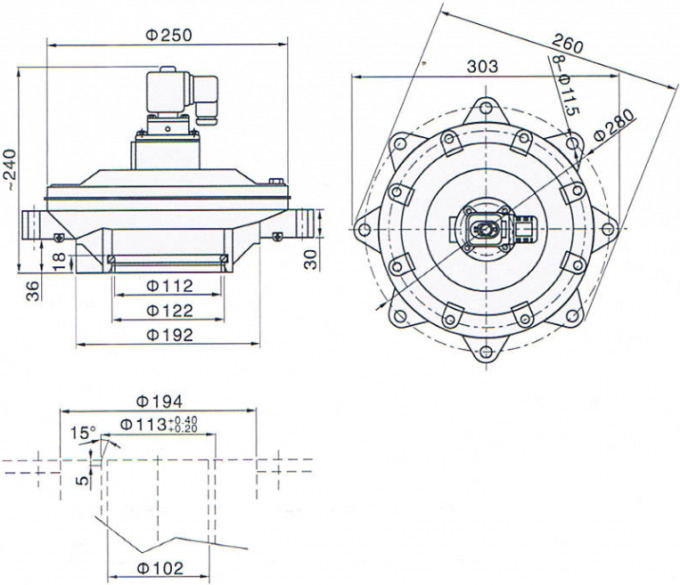 The valve body and cover of Y-type electromagnetic pulse valve are made of aluminum alloy die-cast. 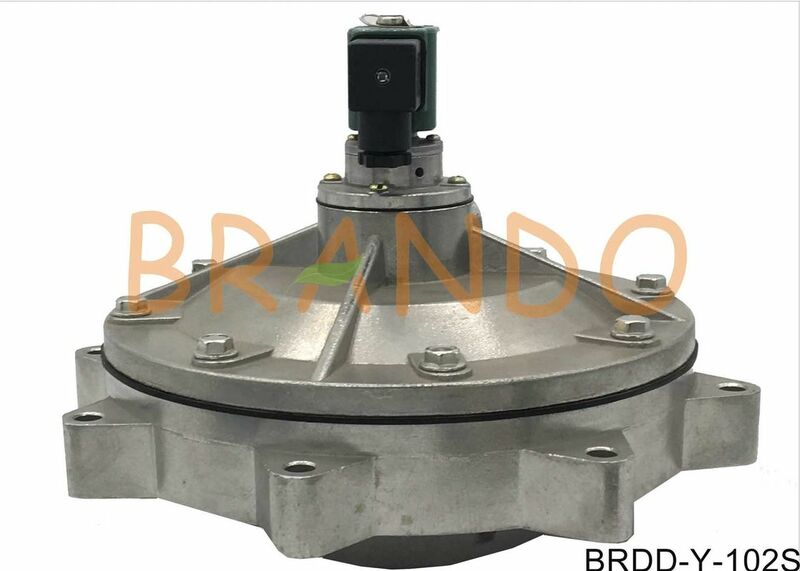 The diaphragm and gasket are vulcanized and compounded by a new process. When pulse electromagnetic pulse valve without electricity, the constant pressure of the gas through the upper and lower shell pipelines and the orifice into the decompression chamber, because under the action of spring block pressure relief valve core hole, the gas will not discharge, make decompression chamber and the pressure of the package, and under the effect of spring, the diaphragm will be blowing mouth plug, the gas does not rush out. 2, when pulse valve, valve core under the effect of electromagnetic force is raised up, the pressure relief hole is opened, gas jet, due to the effect of constant pressure pipe orifice, flow speed is greater than the pressure relief hole decompression chamber constant pressure pipe gas flow rate, the gas bag under pressure is lower than the air chamber pressure, air bag gas will diaphragm jacking, open the mouth blowing, gas injection. Electromagnetic leader head suction, sensitive and reliable action. The same model, specifications of all other products, parts can be universal, interchangeable. Stable and reliable performance, the service life of the diaphragm reaches more than 1 million times. 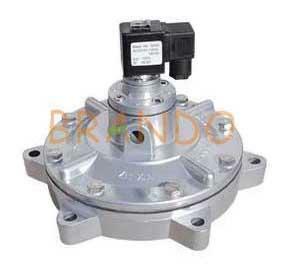 The valve body and cover are die-cast compact and covered with clear paint to improve corrosion resistance. 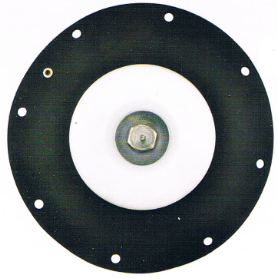 The seal pad on the diaphragm is made of metal and rubber, which is rigid and does not leak. ANY QUESTION WILL BE ANSWERED AT ONCE,ANY INQUIRY WILL BE APPRECIATED!